In most cases most fruits are the essential part of weight control balanced diet because fruits are particularly rich in nutrients that help with fat loss. Fat burning fruits are very healthy. When you suffer from body fat extra storages which change your body shape and damage your health, it is important to think about what you eat and what you do every. Eating fruits few times a day is a good idea for losing weight – fruits are low in calories and packed with important nutrients which can keep you full for long time. 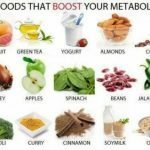 At the same time, certain fruits can boost your metabolism, burn fat and speed up your fight against extra body fat storages. Some people believe that because fruit contains sugar they shouldn’t eat it. 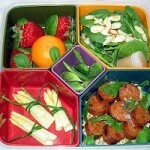 But in reality fruits are full of very important and vital vitamins and nutrients. At the same time, certain fruits can actually help you lose weight faster and easier. Grapefruits are low in calories and loaded with vitamin C and polyphenol (important antioxidants) which boost metabolism, provide some energy and can help break down stored fat. Health experts recommend early morning empty stomach grapefruit plate – it helps to detoxify body by getting rid of cumulated toxins and it also helps in fat burning. Grapefruits are also known as blood fruits – they support blood rejuvenation and control blood sugar levels. 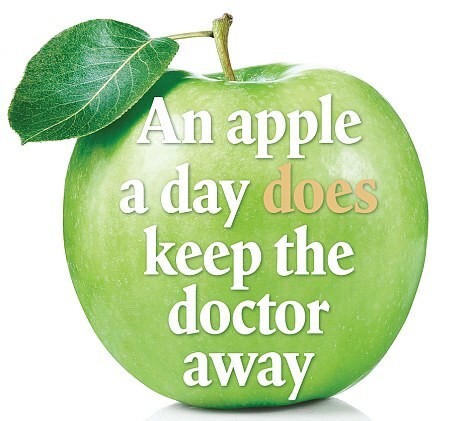 Apples are a great source of fiber and they are strongly recommended during weight loss plans. Apples are quite low in calories, fat and minerals – they are a good source of iron which provides energy and healthy hormonal metabolism. 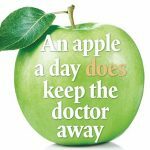 Apples also support the digestion processes, making it easy and fast. Green apples have their own special properties – they are very high in antioxidant activities and they boost immune system. Green apples have very low calories and their high fiber and potassium provide the best for health and fitness. Berries are low in calories, full of fiber and pretty low in sugar. All berries are great source of useful colorful antioxidants (including so called “pterostilbene”) which not only burn fat but also fight cancer cells. Berries provide also vitamins C, K and magnesium that helps to detoxify body and get rid of fats from body storages. Blueberries also contain fiber and copper that help to retain the immune system and burn the extra fat and sugar. In general, berries satisfy sweet and sugar cravings and they boast a very impressive nutrient profile. Pears have several health promoting properties – they are low in calories and provide a lot of fiber which can keep you full for long time. Pears can help to lose weight and retain beautiful body shape – being filled with fiber, pears can fill up the appetite and help to eat less and lose more. According to recent studies, regular pear eaters are less likely to be obese and tend to weigh less than those who don’t eat this fruit. This refreshing antioxidant fruit is also loaded with important vitamins, minerals and iron that provides energy for the whole day. Oranges are citrus fruits – so called “factory” of vitamin C which boost the metabolism and support fat burning. Oranges are usually good in sugar but their calorie count is quite low. Being loaded with potassium, bananas are considered to be the best diet fruit ever with divine sweet taste and some extra benefits. 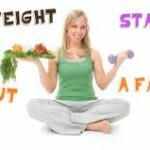 Five days banana diet can help you to reduce weight quicker and easier. Pineapple is a low calorie and zero cholesterol fruit. Raw pineapple is a good source of vitamin C and manganese. Pineapple is well known fat burning fruit. At the same time, it also helps to hydrate and refresh complete body. 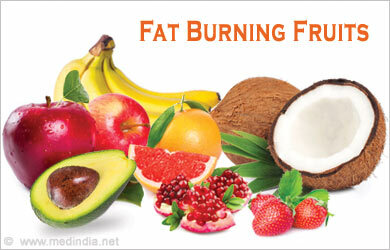 This fruit provide low calorie pleasure and fat burning – you can enjoy the taste as well as lose some weight. Cantaloupes are full of fiber that helps to stimulate digestion processes which makes the bowel movement easy (important factor for weight loss plans). 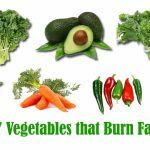 Low calorie vegetables are best for loosing extra weight – some of them are known as fat burning vegetables.